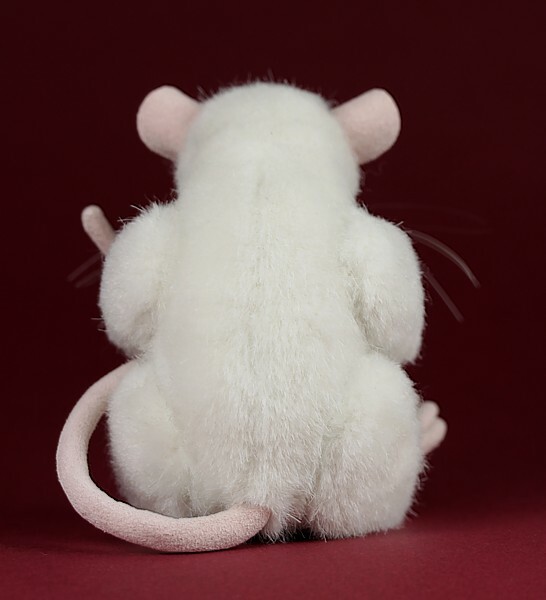 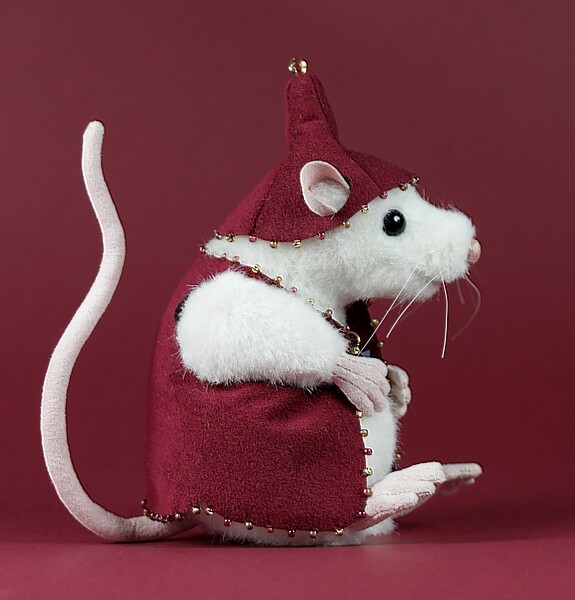 Tino is a sweet little special order white mouse measuring approximately 3.5" when sat and 4.5" when stood up. 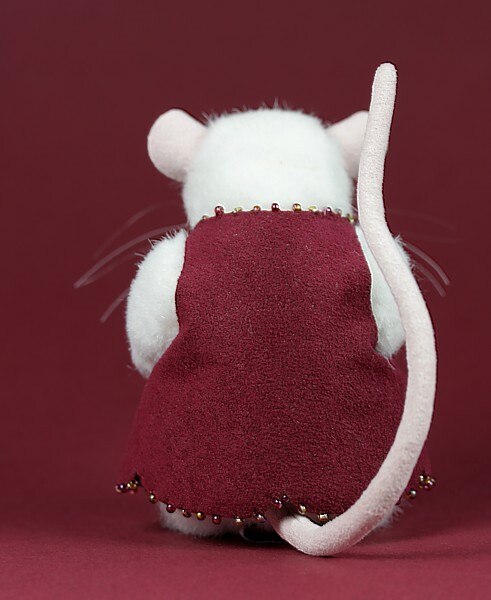 I created him using Schulte synthetic fabric with ultrasuede hands, feet, tail and ears. 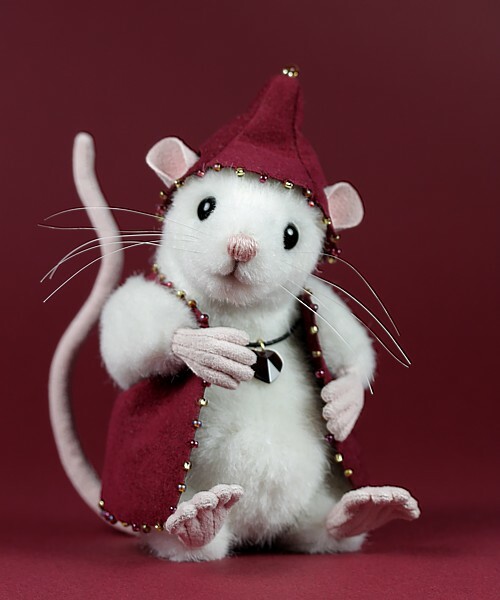 He has a full figure which has been firmly stuffed with polyfil with a bag of glass beads nestling in his tummy for added mousie weight. 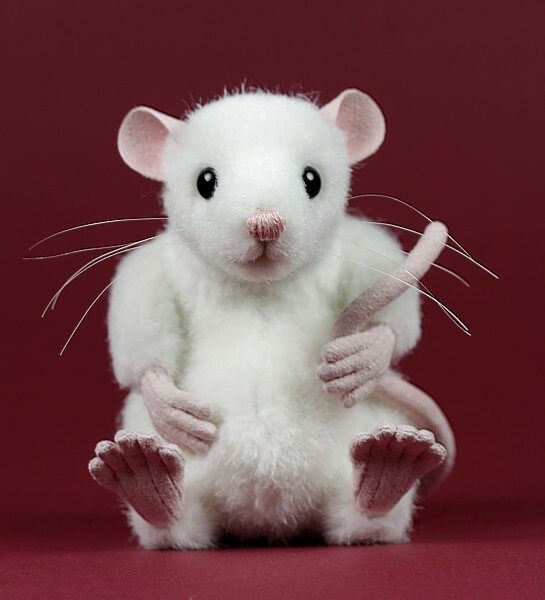 He is fully jointed and has wire armature in his tail, arms and legs (including his nimble little fingers and toes). 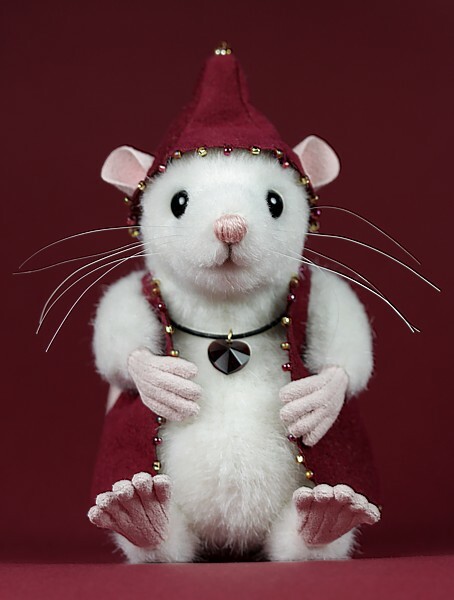 He has black glass eyes with an embroidered nose and mouth. 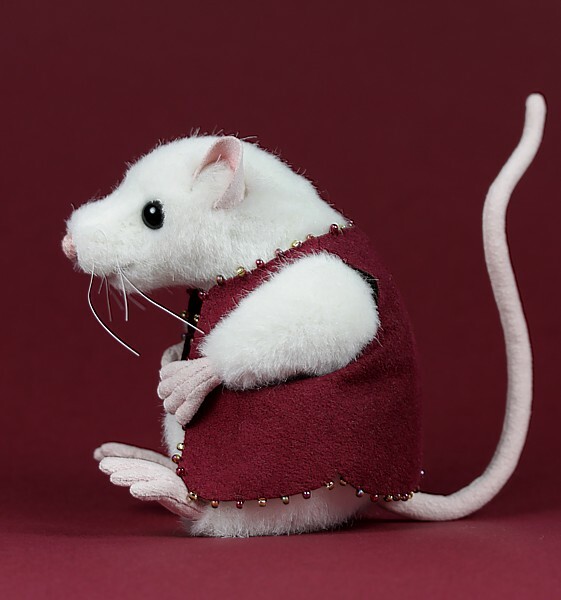 His long whiskers are made from horse hair. 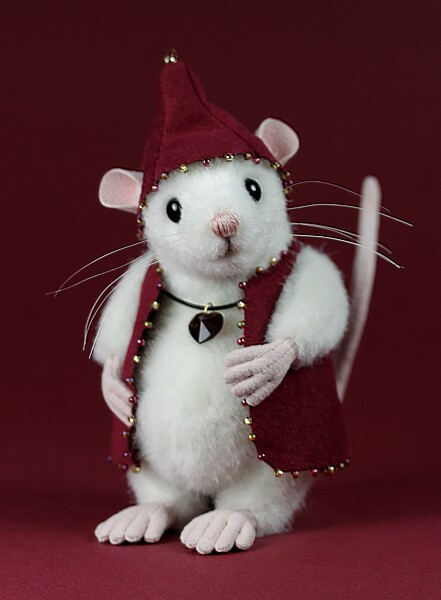 He is dressed in a snazzy ultrasuede jacket and hat, which have been embellished with seed beads. 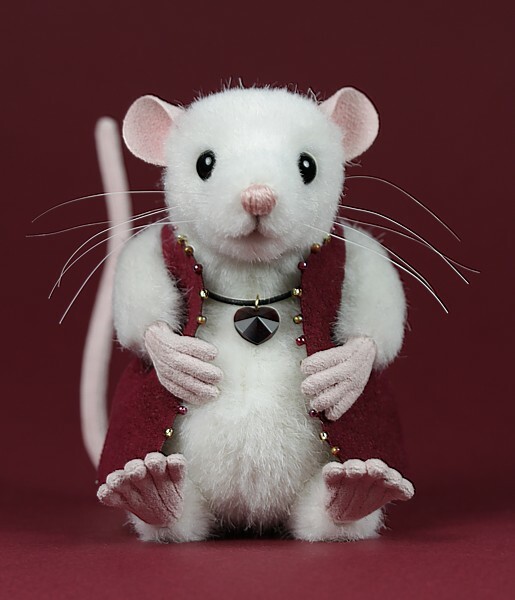 To complete his look he has a Swarovski crystal heart pendant hanging around his neck.